A “One punch can kill”-style campaign should be considered for the risks of choking in a domestic violence situation, a Queensland coroner says. Coroner David O’Connell made the recommendations while handing down his findings following an inquest into the death of Tracy Ann Beale in Gladstone in 2013. Ms Beale died after being restrained by her husband James Andrew Beale in a choke hold during a domestic violence situation, Mr O’Connell found. Mr O’Connell found the cause of death was the choke hold, which likely triggered a vasovagal attack – causing heart rate and blood pressure to drop. Ms Beale was more susceptible to the fatal effects of the attack due to an underlying condition of a dilated cardiomyopathy and the fact she had consumed alcohol. Mr O’Connell said the inquest also raised the question of whether a community education program should be held on the dangers of strangulation, with comparisons made with the “One punch can kill” campaign. “Clearly neck compression (however it occurs) carries with it dangers, in fact possible fatal consequences,” he said. Mr O’Connell also recommended that Attorney-General Yvette D’Ath review the offence of choking or strangulation in a domestic setting, to determine if it adequately dealt with the vasovagal reflex. A spokeswoman for Ms D’Ath said the coroner’s findings would be given due consideration after the recommendations were forwarded to her office. During the inquest, family and friends of Ms Beale said a domestic violence education campaign would have helped them to assist her. The Women’s Legal Service Queensland has backed the recommendations of the state coroner after the conclusion of the inquest The Women’s Legal Service said any education would assist, but strangulation and neck compression were not the only factors. Ms Hillard said all of the risk factors were important. “If people are aware of what the risk factors are, they can either know that they may be in danger and need to get help, or family and friends will be able to more readily identify ‘Hey, I need to step in and help that person’,” she said. “Strangulation in a domestic violence relationship is one of the highest risk factors for future lethality and we need to get this legislation right to protect victims and properly hold perpetrators accountable for their violence,” Ms Lynch told The Observer. “It may not be wide enough to cover some issues in relation to momentary pressure – that is, holding around the neck maybe for a short period of time,” she said. US research indicates that women who had experienced non-fatal strangulation by the perpetrator in the last year were twice as likely to be killed as women who had not. 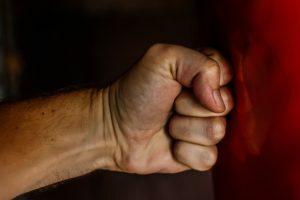 Other key studies in the US found that women who had experienced non-fatal strangulation were seven times more likely to be killed by their abusive partner. These women were also six times more likely to be a victim of attempted murder by their abusive partner. Strangulation is sometimes referred to as garrotting or choking. 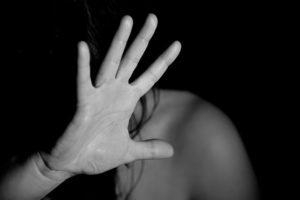 A recent Western Australian study highlights the strong association between non-fatal strangulation and intimate partner sexual assault. In 2015, the Palaszczuk government introduced the offence of strangulation to the Criminal Code, as recommended by the Not Now, Not Ever report into domestic and family violence. At the time, “The new offence reflects that this sort of violence is not only inherently dangerous, but is predictive of an escalation in domestic violence offending, including homicide,” Attorney-General Yvette D’Ath said. 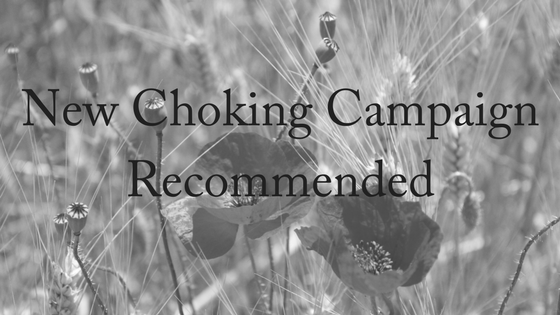 Proponents of the choking public awareness campaign say that it could do for domestic violence what the one-punch can kill campaign did for alcohol-fuelled violence, which raised public awareness but also forced governments to enforce legislation. If you need help with family or domestic violence, please contact our team of friendly, compassionate lawyers today. We offer a FREE, 10-minute phone consultation.